When I first started watching “Boku wa Tomodachi ga Sukunai,” which I mentioned before in saying that “haganai” as a nickname had to do with reading “wa” as “ha” (though in this grammar role it is NEVER pronounced anything other than “wa”), I expected simple zany comedy. It became more than that. While this certainly is a comedy, the characters are not one-dimensional, though they act like it a lot of the time. The characters are… well, the expression, “She’s a real character,” comes to mind. As in, these are oddballs. They know they’re oddballs. We know they’re oddballs. And yet somehow it works. We feel relieved of the obligation to gauge them against the actions of normal human beings, not because they shoot fireballs from their fingertips, but because their personalities vary so wildly. At its core, this show is about a bunch of oddballs who don’t fit anywhere normal, and so, as if reeled in by force of gravity, become part of a club ostensibly about “making friends”. There’s quite a lot of comic conflict between the girls involved. One girl in particular, Sena, fits the anime fan role of a pin-up model on the Internet. But never mind that. The strength of the show is that ostensibly ordinary things go crazily, horribly wrong, but relationships still manage to deepen as the club members become a tight-knit little community. Having said that, without spoiling, this series can’t be truly enjoyed without making it all the way to episode 12 (the final one). This episode essentially rewrites the first episode and manages to leave a good taste in the viewer’s mouth. A good ending is a truly valuable thing. 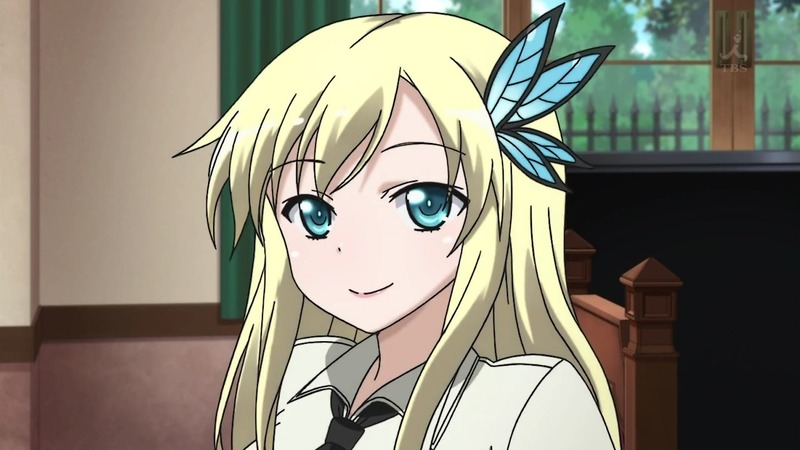 This entry was posted in Anime, Art, Culture, Japan and tagged anime, art, culture, haganai, Japan, review, sukunai, tomodachi. Bookmark the permalink.